CENNS-10 is a single phase liquid argon (LAr) detector developed at Fermilab. 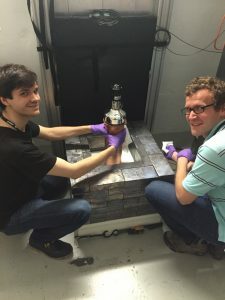 Two facing PMTs see a 22kg mass of LAr. It has been operating at the SNS since December 2016 and will be upgraded to improve light collection in the summer of 2017. The LAr working group convener is Rex Tayloe. 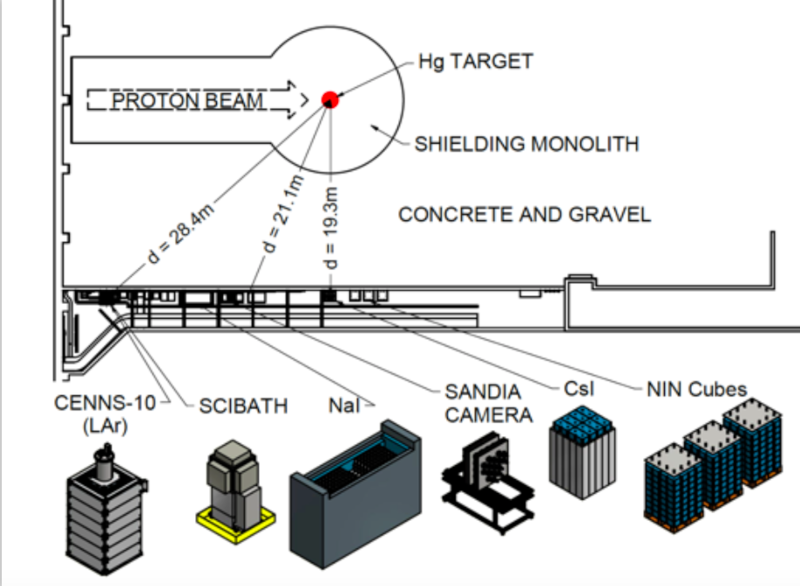 The CsI[Na] detector is the world’s smallest working neutrino detector at 14.6kg and has been operational at the SNS since July 2015. The CsI[Na] crystal is shielded with low background materials and has been instrumented with a super-bialkali photo-multiplier tube. The CsI[Na] working group convener is Juan Collar. 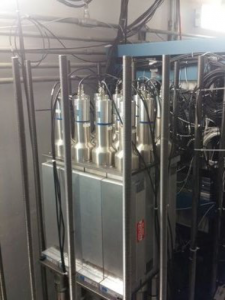 A 185-kg NaI[Tl] detector was deployed at the SNS in June 2016. 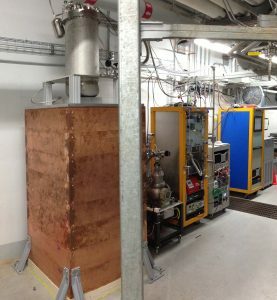 This detector was built to study the neutrino charged-current interaction on iodine-127 and to measure beam-related backgrounds for a CEvNS search using sodium recoils. Plans are underway for a ton-scale deployment that will simultaneously measure these cross-sections. Apart from drastically different energy scales, the charged-current interaction only occurs for electron neutrinos, whereas CEvNS should occur for all flavors of neutrinos. The NaI[Tl] working group conveners are Phil Barbeau and Jason Detwiler. The first neutrino cube was deployed to the SNS in September 2015. It was designed to measure neutrino-induced neutrons (NINs) in lead, which are a background for CEvNS measurements. 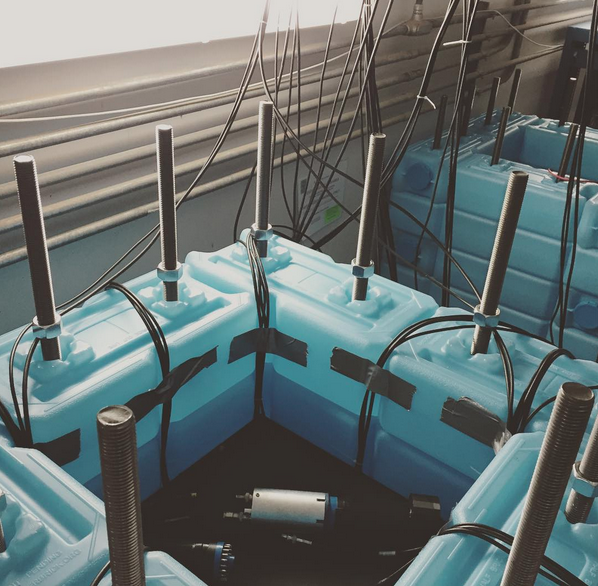 A second neutrino cube was deployed in February 2017 to search for NINs in Iron. The neutrino cube working group convener is Phil Barbeau. The HPGe detector system consists of 10 kg of p-type point-contact germanium detectors. Germanium detectors have very good energy resolution and would be a cross-section between that for the LAr and CsI[Na] detectors. These are being tested and should be deployed in 2017. The HPGe working group convener is Matthew Green.